It's very likely that we will see the shortest City Council meeting in City history on Tuesday, July 2nd, when the council meets in their first meeting of the new fiscal year at 6:00 in council chambers at City Hall. I won't be surprised if the meeting lasts only a half hour, depending on how much time officials spend patting themselves on the success of the 60th Anniversary Celebration. If you don't want to drag your bodies to City Hall on Tuesday, you can watch the proceedings live on CMTV, Channel 3 on Time Warner Cable and Channel 99 on ATT U-Verse or on streaming video at the city web site. The agenda, HERE, has no Public Hearings, no Old Business and no New Business items. Although the Consent Calendar has eleven (11) items on it, I doubt anyone will pull any of them for separate discussion, but that doesn't mean there's not some interesting information on it. NEW AMBULANCES - THANKS, CHIEF ARNOLD! 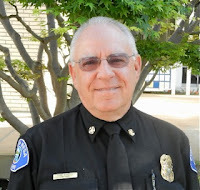 For example, Item #9, HERE, is the expenditure of more than $1.4 million for six new ambulances and equipment for them that will be necessary under former Interim Fire Chief Tom Arnold's redeployment model. That plan has already begun implementation through the lease of two such vehicles from the Orange County Fire Authority until the arrival of our new equipment. I say "former" because Arnold's term of service expired this past week. Every resident and visitor should be grateful to him for his wisdom and leadership during his tour with The City. We wish him well on his much-deserved retirement - again. Item #8 is the new City Emergency Operations Plan, HERE. All 404 pages makes for some very interesting reading. This plan was much in need of updating and the job is now done, even though this plan is a "living document" and will likely require occasional updating as circumstances in our city change. So, neighbors, enjoy your Independence Day holiday. Please be safe with those fireworks. As Mayor Pro Tem Steve Mensinger always says, "It's all about the kids. 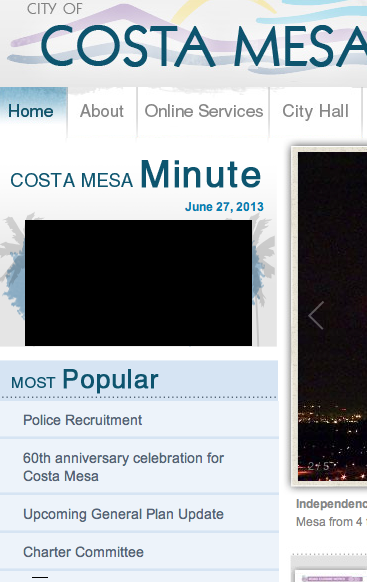 ", so we hope ALL the kids of Costa Mesa - and their parents, too - exercise caution with fireworks over the three nights they are permitted to be blasted off beginning July 2nd. The next regularly scheduled council meeting is July 16th. It's Back! - I-405 Widening Is Resurrected! Very late Friday afternoon the wonderful folks at the Orange County Transportation Authority (OCTA) issued a press release, HERE, that announced the resurrection of the I-405 Freeway widening project. 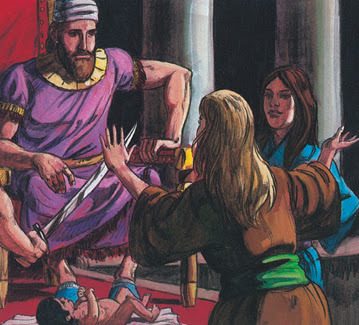 Some will recall that we thought that beast had been given a sedative and was now peacefully resting as a "Wisdom of Solomon" kind of solution - nobody in particular was happy with it entirely, but it was acceptable. You can go HERE for the project overview. When you reach that page scroll way down near the bottom for the two NEW alternatives being suggested. 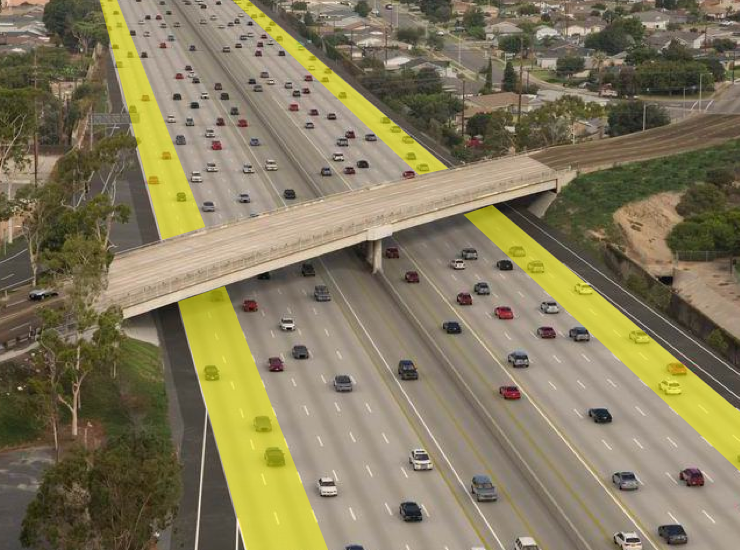 The first one, Concept A, retains the earlier Alternate 2 footprint, but converts the existing carpool lane into the dreaded HOT lane. The second one, Concept B, also retains the Alternate 2 footprint, but truncates one lane further north on the route. It's interesting that no mention is made of any type of public outreach. When this scheme was first proposed there were meetings all over the corridor cities. No mention of any meetings yet and the clock is ticking on the deadline for submitting comments on this plan. And, of course, the timing of this release is fascinating - the weekend before a long, long Independence Day holiday weekend. You can read a brief summary of the current scheme HERE, and read the entire DEIR/EIS - a couple hundred pages - HERE. Enough grumpiness for a little while! It's time to celebrate the 60th Anniversary of our fair city! If you want to see the schedule of events, beginning tonight, Friday, June 28th, through the weekend, just click right HERE. If you want to see about the road closures for the weekend, click HERE. If you want to see the venue map, click HERE. If you want to visit the official 60th Anniversary web site for more info, click HERE. SING ALONG WITH DAN AND OTHERS! 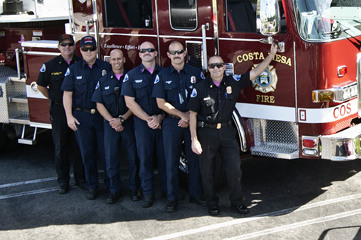 And - I've saved the best for last - if you want to see a fantastic video of Dan Krikorian's "Sweet Home Costa Mesa" featuring many, many familiar faces, just click HERE for the YouTube video put together by Brad Long of CMTV and sing along. It's very special. Enjoy this celebration weekend. Admission is free - except for the big name entertainment on the big stage. Have fun, enjoy the fireworks and... have fun! Last night the Costa Mesa Parks and Recreation Commission met for a regularly-scheduled meeting at City Hall and, although several items were on the agenda, this entry is going to focus on only one - the recent public safety issues at the Volcom Skatepark of Costa Mesa. 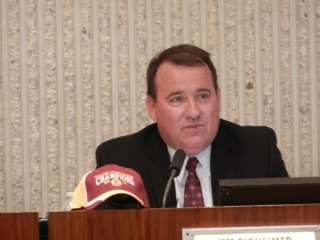 Costa Mesa Police Department Lieutenant Mark Manley provided an informative, and unsettling, report to the commission about recent events at the skatepark. The crux of the problem seems to be that adult skaters ignore the safety rules that require a helmet plus elbow and kneepads and are skating haphazardly, causing safety problems for younger skaters with whom they share the facility. Chairman Byron de Arakal pressed Manley for details of the the events, which apparently included the physical assaults on Park Rangers and on officers called to back them up during enforcement operations. Manley provided perspective via an audio tape of one encounter in which a late-30's skater - hiding behind a tree - explained to Manley (in civilian clothes) why he was hiding and the "code" that was used by skaters so they could scatter when police arrived. Officer Allen Rieckhof, who patrols that area of the city during the day, played another tape of a very recent profanity-laced encounter with a skater who had been cited and warned previously who ended up being arrested. During his presentation Manley provided some statistics for police/park ranger activites at the skate park. Offences ranged from failure to use proper equipment to taking a swing at officers. As an example of the prevailing attitude in the park now, Manley reported that, following a routine patrol of the park recently, one of the rangers found dog poop placed in the door handle of the police cruiser. 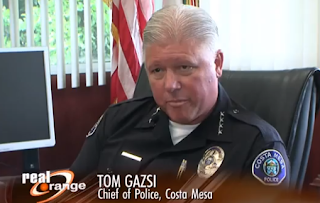 According to reports, it is not unusual to see 20 or more skaters run from the park - out the exit or over the 6 foot high fence - and scatter into the Mesa del Mar neighborhood when officers approach. Manley told the commissioners that it's his goal to have the rangers and police staff be ambassadors to help with the lawful administration of the park, but that there is a cultural issue in play and, with the advent of cell phone video, there seems to be an intent to provoke confrontation to post on social media sites. WHY DECLINING CALLS FOR SERVICE? Chairman de Arakal read from a report he had that described a significant decline in calls for service and citations issued since 2008 and asked Manley about it. His reply was that, with reduced resources today other calls take priority. He told de Arakal that he has 4 park rangers and 2 are dedicated to enforcement actions at Lions Park. The remaining two are left to cover the other 29 parks in the city, including the Volcom Skate Park. Rangers apparently make two passes at the skate park each day on average. de Arakal had a real head of steam up on this issue. He's received many calls from residents about the safety aspects of the park recently. Older, much more aggressive, skaters make it very difficult for young skaters to navigate around the various elements of the park safely. Apparently there are many repeat offenders observed by rangers and officers. He told us he had visited the skate park a couple times recently and described it as "Probably what the Old West looked like a hundred years ago. It's just a free-for-all." He went on to say, "The bottom line for me is the law. It's pretty clear that if Costa Mesa is going to run a skate park, under the Health and Safety Code, we have to require that everybody wear a helmet and elbow and knee pads." He said that he's made a commitment that "we're going to fix this", and that it is probably going to take consultation with senior city officials (he referred to the 5th floor) and the police department to create a strategy to resolve the issue. He mentioned full time staffing, a fee to use the park as some options. He hoped to find some immediate relief for the police department and bring solutions back to the broader issue to the commission in July or August for consideration and presentation to the City Council shortly thereafter. To give you an idea of what this is all about, HERE is a YouTube video clip of one confrontation at the Volcom Skate Park that presents a disturbing, but actual, encounter that the park rangers had to deal with. WARNING: Bad language is used in this tape. I hope you'll watch the Parks and Recreation Commission meeting, either on streaming video when it is finally available, or on the taped recording, to get the real flavor of what our officers face every day on this issue. It's a problem that needs to be solved, fast. NOTE: The streaming video clip of the meeting is now available HERE. In case you missed it, yesterday Costa Mesa Mayor Jim Righeimer and Police Chief Tom Gazsi were interviewed on PBS SoCal's "Real Orange" news program on the issue of the impact of so-called "AB 109" prisoner releases on local crime. 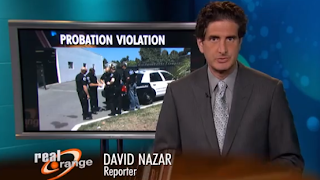 Reporters followed along as members of the CMPD and the Orange County Probation Department made sweeps throughout Costa Mesa recently and snatched up 7 probation violators and used that activity as the foundation of their news report last night. Our friends at the Voice of OC, which partners with PBS SoCal on local news issues, have reported on this issue today, HERE, in a piece that includes the video segment from the "Real Orange" broadcast last night. I think you'll find it interesting that Righeimer and Gazsi have different views on the impact the AB 109 prisoners in our community. Righeimer, the non-cop (although he is related to one) is sure that AB 109 is having a big impact on crime, and says so. Gazsi, the career police officer with more than three decades fighting crime in our area, takes a more measured approach. He's willing to wait until we have enough statistics to validate Righeimer's claim. And, as reporter David Nazar states in the report, it's probably only going to get worse. In the meantime, the CMPD will continue to watch the early release population in our community closely and use its diminished resources to grab them up if they violate the terms of their releases. 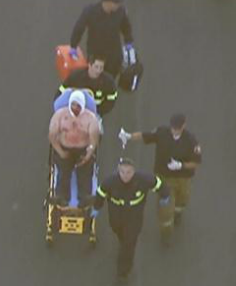 As a sidebar, lest you think these sweeps are routine, easy assignments for our law enforcement folks, earlier this week a member of the Los Angeles Police Department was shot in the face during a probation investigation, covered HERE by Fox 11 News in Los Angeles. These are the kind of situations our police officers potentially face every time they knock on a probationers door. For three hours last night at the Emergency Operations Center (EOC) near the Police Station the recently-convened Costa Mesa Charter Committee got to know each other and their facilitators and supporting staff members. Nearly 20 members of the community, including some members of the media and city staff, sat in the cheap seats and observed the process unfold. The facilitating duo of Dr. Kirk Bauermeister, principal of Estancia High School and a more than half-century resident of the city and Dr. Mike Decker, lead chaplain for the Costa Mesa Police Department who has been in the city about half that time, kept the proceedings on schedule as they made their way through the first agenda, HERE, and helped this fledgling group find its footing for the long journey ahead. Bauermeister emphasized that the facilitators were there to be neutral 3rd parties, not to get involved in the decisions. They were to manage the participation and provide the structure and tools for the committee to use in their process. 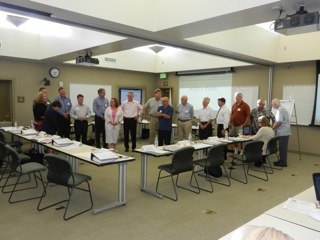 Part of the process is getting to know one-another, so Bauermeister led them through an Ice Breaking segment in which they lined up in order of their years in Costa Mesa. The newest member, Kerry McCarthy, has been a resident for 9 years and the most tenured member was Lee Ramos, who has lived in the city since 1947. 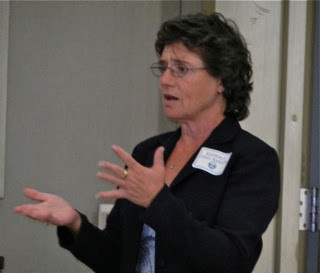 Former Costa Mesa City Attorney Kimberly Hall Barlow is the legal liaison for the group. She used a PowerPoint presentation to provide some context for the group's task, including a definition of just what a Charter is. She also led them through the potential quicksand that is the Ralph M. Brown Act. For most of the residents on the 13-member committee this was uncharted territory, so Barlow took her time and hammered home points on serial meetings, broadcast emails, social networking, texts, blogs and telephone conversations that might turn out to be serial conversations. She left them with the final word - when in doubt, DON'T! Early-on in the process Harold Weitzberg presented the group with a conundrum. He posited that, based on what he heard Mayor Jim Righeimer say the evening the committee was selected, their task was to first determine IF there should be a City Charter and, if so, then create the one that best meets the needs of the City. He said, based on his understanding, the first thing the committee should be doing is a "needs assessment", basically determining what is "wrong" with the city and will adopting a Charter form of government resolve those issues? Bauermeister explained that it was his understanding that their goal was to craft a charter, period. He did say he would confirm with those who hired him to facilitate this process exactly what their task was to be. The group proceeded with wrapping their collective arms around the "process" and establishing "Norms" - the rules of the road they will follow as they move forward. It might be helpful for Bauermeister to know the following. 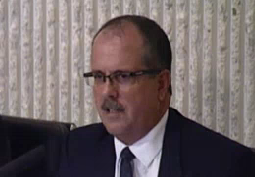 During the City Council meeting of June 4, 2013, when the committee members were chosen, just before the final names were pulled from the hat - Weitzberg was the final applicant selected - Righeimer said the following at 03:04:45 on the counter on the streaming video, HERE. "I want to thank everybody so far whose made it on the committee. These are gonna be the last final people that will be on the committee. 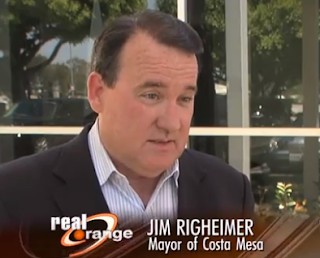 I think it's going to be a committee made in heaven for Costa Mesa and to decide whether we want to do a charter or not in the city." That seems pretty clear to me. First "decide whether we want to do a charter or not", then proceed accordingly. That sounds like the marching orders the committee was given that evening. Bauermeister stressed the importance of arriving at consensus on the issues that they face. He proposed using a "thumbs up", "thumbs down" and "neutral" positions - thumbs level, meaning "I don't support the position, but can live with it." That process evolved over the evening. City Clerk Brenda Green showed the group how to find relevant information on the city web site. By going to the Home Page and clicking on the link called "Charter Committee" you'll be taken to a page HERE, that contains information and several other links, including one where you can provide feedback to the committee and ask questions. 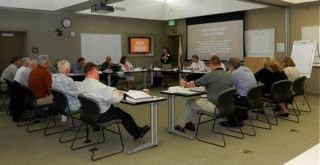 This committee will meet the second and fourth Wednesday evening of each month at the same time, 6:00 p.m. at the same place, the EOC, until their task is complete. It may take more than six months to complete it. The next meeting is July 10th. I came away from this meeting with some opinions - big surprise there, huh? As is usually the case with a group of 13 people, some folks seem to have arrived with some firm opinions on specific issues. Tom Pollitt, for example, brought up "prevailing wage" as a concern of his, even though they are at least one meeting away from beginning to list issues. Last year Pollitt was a strong supporter of Measure V, Jim Righeimer's Charter, the ballot measure that was crushed at the polls, 60%-40%. Speaking of Measure V, it was not included in the package of information provided to the committee. Once it was brought up several members asked for a copy of it for reference. When it was brought up, Barlow made a little joke that it was "verboten". A community member later took strong exception to that "joke", for which Barlow apologized. The committee was provided with a large notebook with charters from a dozen cities, a primer on Charters and a glossy tome on the Brown Act, plus the staff report from the City Council meeting in April that formed the committee. One member suggested that each read all that information before the next meeting - homework, as it were. Clearly, there is strong interest within the community about this committee and how they will go about fulfilling their assignment. In the audience were members of Costa Mesans For Responsible Government, the diverse group that led the fight against Measure V last year and a couple people that can be described as "pro-labor" - supporters of the building trades. Very few spoke when given the opportunity, though. 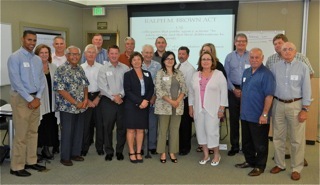 Left to right-Intern Sawyer Pendleton, City Clerk Brenda Green, Pastor Mike Decker, Lee Ramos, Gene Hutchins, Tom Pollitt, Brett Eckles, Ron Amburgey, Attorney Kim Barlow, Hank Panian, Kevin Tobin, Attorney Yolanda Summerhill, Dr. Kirk Bauermeister, Kerry McCarthy (hidden), Mary Ann O'Connell, Andrew Smith, Harold Weitzberg, William Fancher and Thomas Graham. Each of these meetings will be impacted by the closure tomorrow afternoon of the visitor parking lot in front of City Hall in preparation for the 60th Anniversary Celebration that begins on Friday, June 28th. HERE is a link to the map of road closures for the 60th Anniversary event. Attendees of the three meetings mentioned above will have to find their way to the employee parking lot behind City Hall, or use part of the Vanguard University parking lot, adjacent to the City Hall parking lot. Check it out and plan to give yourself a few minutes longer to make the meetings tonight as you maneuver around Vanguard Way. Tuesday evening, for the first time, I attended the meeting of the Costa Mesa Finance Advisory Committee, known in a previous life as the Investment Oversight Committee. In that previous iteration the committee was comprised of the City Manager, the Finance Director, a council member and a couple - maybe three - members of the public. Their role was more passive/reactive than proactive. The new City Council has a much different idea about committees in general, and this one in particular. This committee is comprised of six regular members and two alternates, plus Mayor Pro Tem Steve Mensinger and City CEO Tom Hatch. Senior staffers typically in attendance are Finance and Information Technology Director Bobby Young, Assistant Finance Director Colleen O'Donohue and Revenue Supervisor Judy Vickers and Executive Secretary Kathy Ulrich. Having read the agendas of all previous meetings it seems clear that the council wants this group to play a much more active role in how the City's finances are managed and it has taken on assignments previously the purview of the staff. Tuesday evening was my first chance to actually watch this group in action. In addition to the staffers mentioned above, committee members attending the meeting were Shawn Dewane, Jim Fisler, Terry Shaw, David Stiller, Howard Hull and Richard Riva. 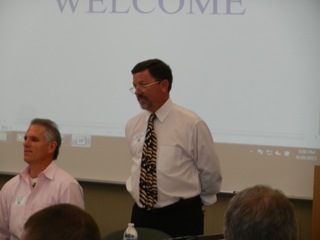 Members John Hinson and Robert Juneman were absent, as was Mensinger. Stiller and Shaw are holdovers from the previous configuration. All the other members are new to this committee. 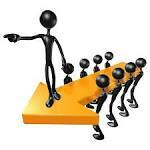 Dewane is the Chairman and Shaw is Vice-Chairman. Dewane and Fisler are Directors of the Mesa Water District Board. They, plus Hull, can be said with accuracy to be tightly aligned philosophically with the current City Council majority - a fact that became crystal clear as the meeting progressed. I wanted to attend this particular meeting because there were items on this agenda, HERE, that interested me. I was particularly interested in how they would handle New Business item 7a, Business License Tax Information/Study. As it turned out, that was the only item they covered - the other two New Business items, PERS Prepay and Revenue Sources, were trailed to a future meeting. Dewane ran a crisp meeting, blitzing through the early agenda items before guiding the discussion on 7a for more than an hour. "Guiding" may not be exactly right - "dominating" would be more appropriate, in my opinion. He began his discussion by stating that this issue should not be political - a statement I later found very amusing because that's exactly what he did - politicize it. The staff had provided a large pile of reference materials, including several city council staff reports that covered the subject previously, focusing on the most recent serious discussion of increasing this tax last year. Also included were copies of a PowerPoint presentation Young had given to the council last year and the entire section of the Municipal Code that deals with Business Tax. As the discussion began Fisler expressed concern about section 9-58, which seemed to him to give authority to city officials to enter his home to look for his business license. Staff, in response to the concern, assured him that there had NEVER been an instance of that happening. He asked if there had ever been an audit of claimed revenue - our business license tax is based on tiers of revenue claimed by the applicant - or if any penalties had ever been imposed. The answer was NO. OK, I'm not going to try to regurgitate every comment word for word. I'm going to give you my impressions of the high and low points, with some specific quotes as appropriate. It was very clear to me by the line of questions posed and the positions taken that Dewane and Fisler - and Hull to some extent - came armed with an opinion and were not eager to have the facts complicate it. Dewane, while dominating the early part of the discussion, frequently expressed disdain for the "insignificant" amount of revenue generated by our business license tax, which runs from $800,000 to $850,000 year after year. Hatch chimed in to observe that it has been our most consistent revenue source. And still, throughout his comments, Dewane referred to the amount as "nickels and dimes", and wondered if it was even worth it to have a Business License Tax. He also referred to the Business License Tax revenue as a "rounding error". At that point Young jumped into the discussion, taking umbrage at that description, stating that it was a viable part of our revenue stream and, as Hatch had earlier stated, was our most consistent revenue source - much less volatile than the Sales Tax or Property Tax, as demonstrated over the past several years. To that Dewane stated that "1% of the Budget is insignificant!" Are you getting his drift? At one point he asked the purpose of the Business License Tax and was told by Young that it was to raise revenue. That answer seemed inadequate to Dewane. The discussion turned to how we collect our Business License Tax. Until about 3 years ago we had a person on staff that was tasked to check newspapers and other public records to see if folks doing business in our city were, in fact, paying our license fees. 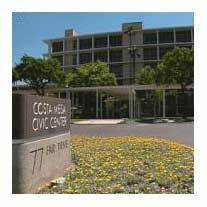 Keep in mind that Costa Mesa's Business License Tax is among the very lowest in the county. The maximum ANY business pays is $200, with most paying less than half that amount. Fisler and Dewane both suggested that we could generate enough revenue from the scofflaws that we wouldn't have to raise the tax. They offered no documentation for the opinion, though. Hatch told us that the Fire Department, as part of their routine inspections, now looks for the Business License document. Dewane continued, referring to the Business License Tax as a way to kill businesses and stifle recruitment of new businesses. He complained about the 22 page document a businessman must complete to begin a business in the city, observing that it just added to the paperwork burden businessmen face. Dewane stated several times that it's more important to attract more businesses to the city than to raise taxes. Another part of the equation is the collection of the tax that is due to us. A new suite of computer software has been purchased and is online now. Soon it will facilitate the auditing process and aid in collecting ALL the taxes due to the city. It will also create new efficiencies in the handling of these transactions. About 45 minutes into the meeting - it lasted 90 - Dewane asked any of the members of the public present if they had comments to make. Each of the four of us in the room took our turn to express views on the issue. Jeff Arthur briefly discussed the points Young had made and posited that perhaps we should increase the threshold of the tax. Dewane pumped Young about the cost to cut a check. MOONEY - A SALES TAX RAISE INSTEAD? Charlie Mooney wasn't satisfied with the purpose of the tax - to raise revenue. Among other things, he wondered whether, in place of the tax, an increase in the Sales Tax might be more appropriate. Dewane chimed in, complaining that businesses already pay taxes and fees. He mentioned a "supplemental sales tax". He then veered off into a rant about the power of government being unlimited and taxes are a violation of personal property rights. He said regulation is not business-friendly. Beth Refakes, a long time resident and participant in most important meetings in the city, said she had no real problem with the Business License Tax and suggested that volunteers might be useful helping reconcile unpaid tax. She also opined that the electorate in Costa Mesa probably wouldn't take kindly to the elimination of the Business License Tax. I suggested that anyone currently holding a license should be required to pay something - at least a modest handling fee - which is not the case today. You can keep your business license active at no charge if you have less than $1,000 annual revenue. Dewane, in response to my observation that his opinions made it clear which way he was trying to direct the discussion, rejected that characterization - saying that he was just trying to carry the discussion to the extremes. Well, he did that well enough, believe me! The discussion continued and got mired down into the difference between a permit and a fee. Briefly, Young explained that a permit typically covers the cost of the service - inspections, planning applications, etc. Dewane suggested this issue is highly complicated and political and wanted the staff to do some more work. He said that if he was a council member in a city with NO business license tax he might be tempted to "poach" businesses from neighboring cities who DO have such a tax. He also suggested a way to allow businesses to pay their license fees 5 years ahead, which seemed very contradictory to his entire premise before. Earlier he suggested that Segerstroms might just petition the local agency formation commission to become part of Santa Ana if the tax was raised. That was an astounding statement! The discussion turned to last year, when the council discussed this issue and did nothing about putting the issue before the voters. Some wondered what happened. At the end of the meeting I told them what happened. One of the scenarios Young presented to the council a year ago had a maximum tax of $10,000. When the council heard that number their collective brains just locked up and they never could get past it. Richard Riva presented a list of things he felt needed further discussion/explanation. He felt the committee needed to continue the discussion and asked the staff to consider several questions, including, What is the capacity for more businesses in the city? What are the types of businesses worth going after? He also indicated that permits needed to be part of the discussion. Hatch offered this comment. "Will we fall apart if this tax goes away? - NO. Will we fall apart if it stays the same? 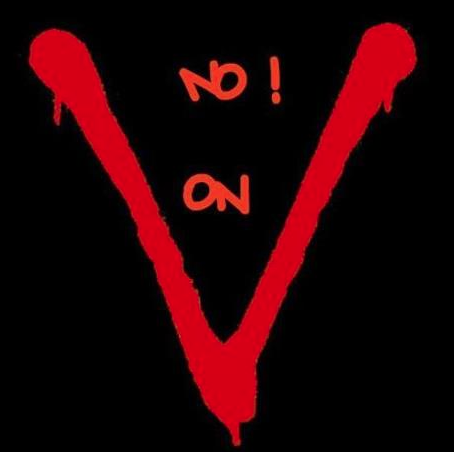 - NO." Finally Fisler suggested that members email their thoughts to Young before the next meeting in July. The two remaining items will be considered at that time. My impressions? I've heard many of the things Dewane and Fisler espoused last night coming from the mouths of Mayor Jim Righeimer, Mayor Pro Tem Steve Mensinger and councilman Gary Monahan over the past couple years, and during the discussions last year on this same issue. It was clear to me, as I said earlier, that Dewane, Fisler and Hull are carrying the water for the council majority on this issue. I was not surprised by this at all. The biggest problem I saw was that Dewane so dominated the discussion that he intimidated other members and stifled some of the discussion. Again, I was not surprised - at all. It will be very interesting to see how this plays out. There's still time for calm, rational discussions on this issue before the council gets into it to consider placing it on the November ballot next year.